Greg and I are heading to France and Italy for two weeks in October to celebrate our two-year wedding anniversary. We are slowly planning this trip we've been dreaming about since we were engaged. We kept saying we'd make it happen after paying off loans and now that we are debt-fee (hooray!! ), we are one step closer to saying bonjour and ciao to these two swoonworthy European countries. 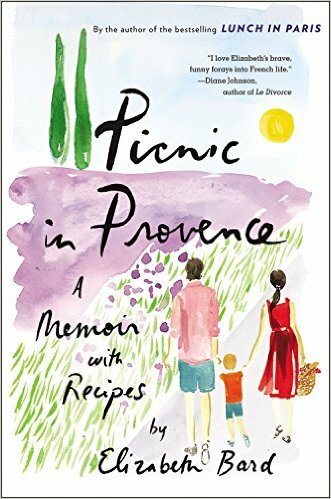 I recently made a list of books based in France and Italy that I want to read before our trip, but then realized I have already read (and enjoyed) plenty of books with some reference to either France or Italy. 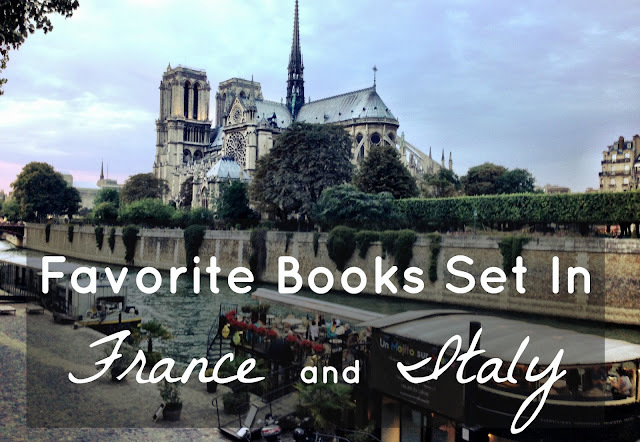 I thought it would be fun to share in case any readers want a little bit of France or Italy in their reading Here are a few of my favorites, categorized by category. These books gave me a hint of history, culture, and adventure in France and Italy. 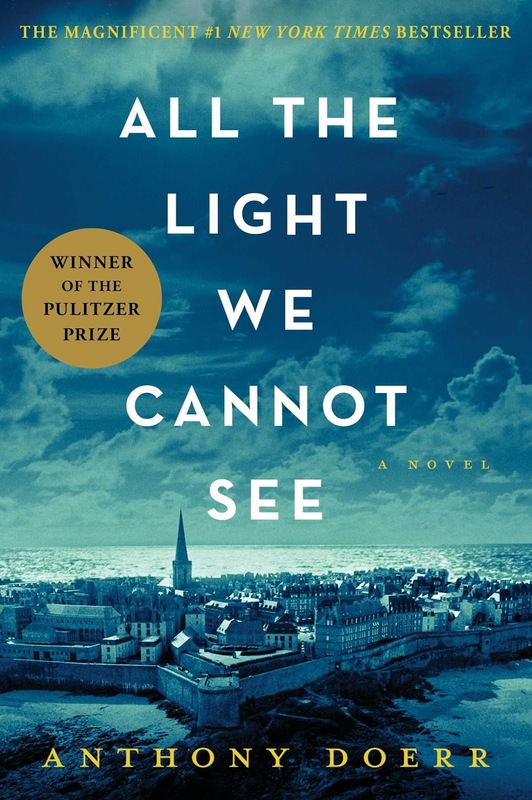 A stunning WWII historical fiction novel told from the perspective of a blind French girl who is escaping Paris with her father before Nazis occupy Paris and a German orphan boy with a penchant for fixing radios who is recruited in Hitler Youth. It took Doerr TEN years to write this exquisite novel and you'll soon see why if you open the pages of this memorable, beautifully haunting novel. I preferred the writing style and plot way more than another recent WWII bestseller, The Nightingale. American physician Sumner Jackson lived on the infamous Avenue de Foch before and during the Nazi Occupation. Once a posh neighborhood near the Eiffel Tower, it became the notorious hub to Gestapo who stopped at nothing to find and punish members of the Liberation network of the French resistance. 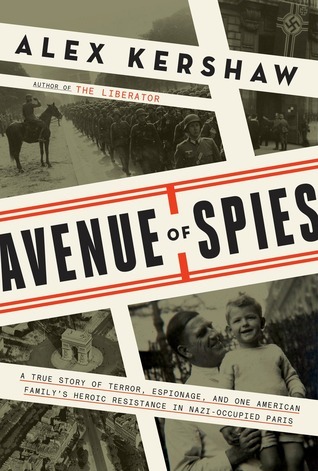 This is the true story of Sumner's courage work to help Allied forces, Jews, and resistance workers against the evils that were literally down the street. The redemptive power of love and community set in the quant French town of Chartres. 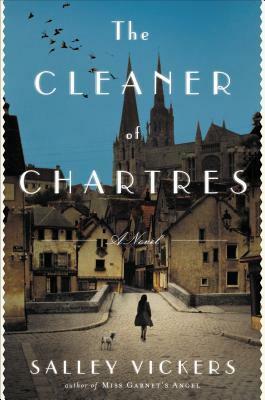 Agnes Morel is a cleaner of the famed medieval cathedral in town as well as someone who gets hired for odd jobs for the townspeople, yet no one knows the deep secrets of her past. A few questionable parts (sensual scenes and language) and hitting on the heavy topic of mental health (heavy, but important to talk about! ), this novel was both pleasant and challenging. Monsieur Perdu is a self-proclaimed literary apothecary; he prescribes the perfect book for the visitors of his bookstore, which happens to be floating on the Seine in a barge. Picturesque, right? Well, he is nursing years of heartache after the woman he loved left him with only a letter -- that he never opened until now. After finally reading its contents, he is propelled towards the South of France to find answers behind her hasty departure. 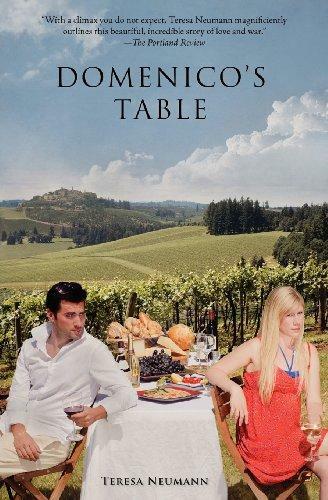 A few sensual scenes but overall a delightful adventure into little-known Provencial villages. If you like A Man Called Ove, I think you'll have a soft spot for Perdu. 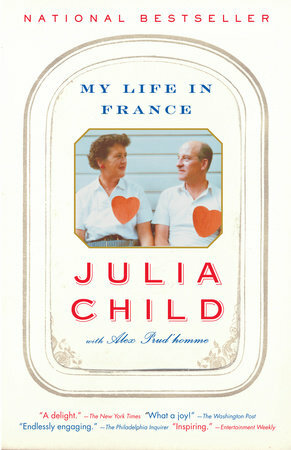 Before she popularized French cuisine to the average American (in her cookbook The Art of French Cooking and the TV show The French Chef), Julia was an expat living in Paris, twiddling her fingers while her husband went away to work each day. Knowing nothing about cooking, the French language, or the culture of her new home, she eventually decided to change all of that by taking cooking classes at the world-renown Le Cordon Bleu. 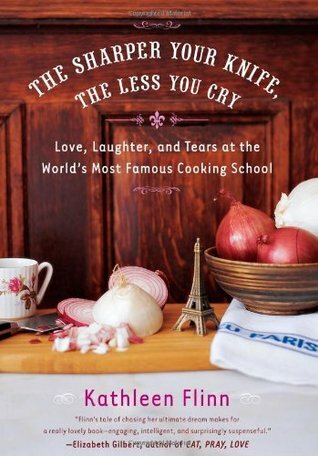 Told through her hilarious, witty, boisterous personality, the memoir is a treat for anyone who has watched Julie and Julia, or loves Paris and food. The audiobook is great, btw! Another American in Paris attending Le Cordon Bleu, except this is set in 2003 and Flinn is at the end of her rope (being recently fired from her job in London) when she decides to follow her livelong dream by moving to Paris to enroll in the famed cooking school. Plenty of French recipes included. You may be sensing a theme, but hear me out. An American moves to Paris and gets caught up in two passionate love affairs: one with a handsome Frenchman and the other with French food. She learns to cook common French dishes not from the famed school, but from her dingy apartment. 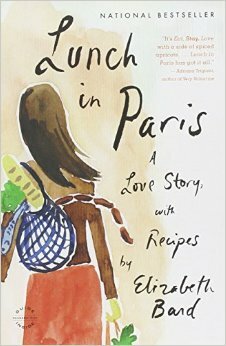 Her rough-around-the edges personality works well for the memoir, as she talks about food, budding love, and the impeccably dressed, thin French women she's not sure if she detests or envies for their abilities to be chic and eat all that glorious French food. (FYI:I think there was a bit of language and a sensual scene). The continuation of the above memoir; Elizabeth is now pregnant with her first child and after a trip with her guy to a provincial village in South France, they decide to buy a home in the French countryside and start a new business. She is so good at describing both food and culture in both of her books! 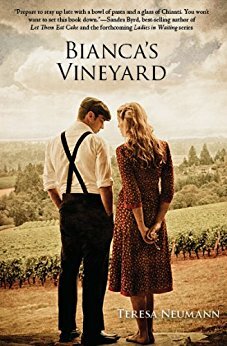 Based on a true story and set in WWII-torn villages of Italy, this novel gave me a glimpse into wartime in Italy as well as sobering themes such as a rocky marriage, mental illness, and family pressures. It's a tough read but Neumann does a phenomenal job bringing these characters' flaws as well as their courage to life. The follow-up to above, picturesque hillside Italian villages are the setting for this novel about a former German solider's reckoning with his past memories as he revisits the places in Italy that marked his life during wartime. Adjacent to his story is the story of his granddaughter, who is accompanying him for the summer in Italy. Sullen and kinda annoyingly rude, her own memories and secrets become undone as she is challenged to open her walled-up heart to love. Four unlikely women join together to rent a luxurious Italian castle in Portofino (Amalfi Coast) and the charm of this dreamy atmosphere works its magic on each of their lives, bringing love and joy. I loved the audiobook version with a narrator that sounded like Judi Dench! Von Arnim paints a magnificent portrait of the rejuvenation and beauty of not only staying in an Italian castle but staying put in one place for a whole month (vs constantly traveling from place to place). 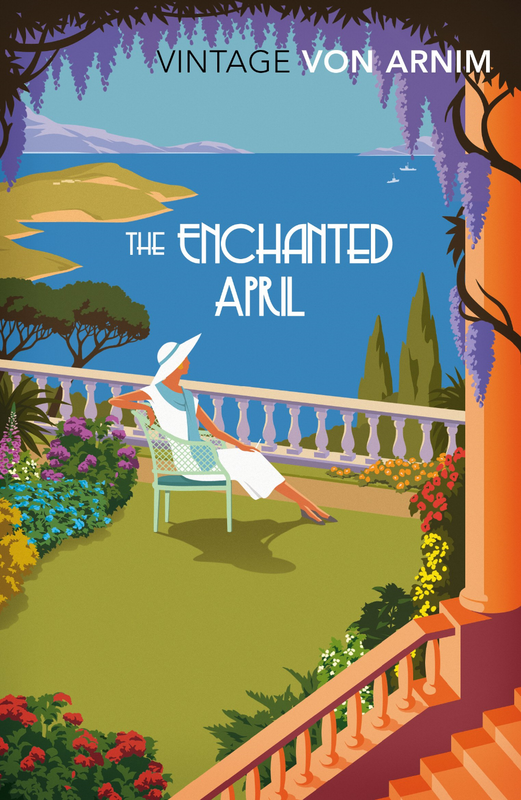 If only I had the money and time to take a trip like that, but for now I can get a glimpse through this novel (as well as looking forward to three days we'll hopefully be staying in a little castle near Florence in October!). Italian countryside, art renovation, delicious pizza, and family secrets. If you like any or all of these, this will be an enjoyable read. 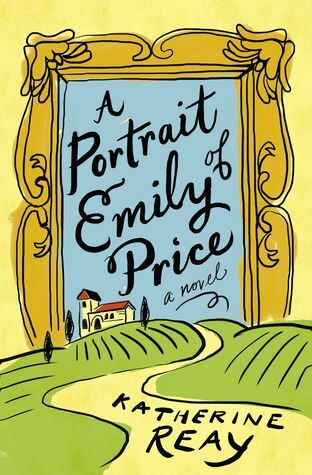 Emily Price knows her dreams and won't let anything get in her way ... until a handsome Italian chef enters the picture and this adventure makes its way to Italy. I adored Reay's Lizzy and Jane as well as Dear Mr. Knightley. Reay has a unique way of bringing her Christian faith into her writing without it being preachy, formulaic, or cliché. As with her other novels, she touches on hard subjects but does it with wisdom. 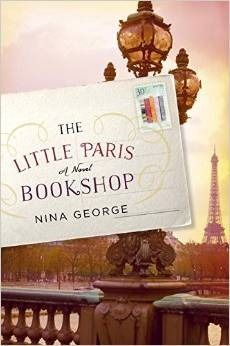 Have YOU read any books set in France or Italy you'd recommend I pick up before our trip?